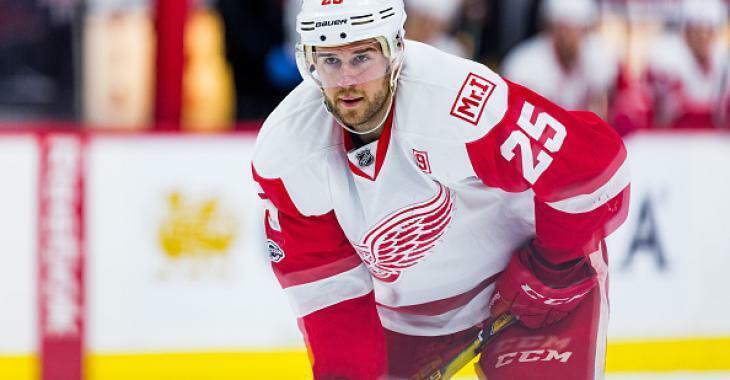 This isn't the Christmas present the Detroit Red Wings were hoping for as the team announced on Friday that it will be without veteran defenseman Mike Green for the next three to five weeks while he recovers from a lower-body injury. In a corresponding move, blue liner Filip Hronek will be called up from AHL Grand Rapids to replace Green in the lineup. The 33-year-old, who spends more and more time on the sidelines in the past few years, had been listed as day-to-day prior to the announcement. This is the second time this season and third time in the year 2018 that Green is sidelined for a significant time. He missed parts of training camp and the first nine games of this season while recovering from a liver virus that left him fatigued. Last year, his season ended in April after he suffered a neck injury that required surgery. Many believe the ailments prevented the Wings from using Green as a trade chip earlier during the trade deadline. In 23 games this season, Green has managed to put up three goals and 16 points. As for the 21-year-old Hronek, who made his NHL debut with the Red Wings earlier this season, he is expected to be in the lineup when the Red Wings host the Ottawa Senators Friday night. In 20 games down in the American Hockey League this season, he has tallied five goals and collected a total of 18 points. He also managed to register a goal and three points in six NHL contests since his professional debut.